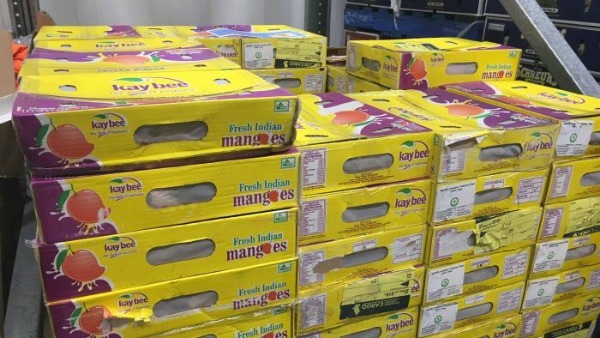 The first ever shipment of Indian mangoes have arrived into Australia for the first time. Around 400 trays of the Kesar variety arrived into Sydney last week, with the fruit being allowed into Australia only if it had been treated with irradiation prior to exporting. With the current volumes far too light for the big supermarket chains, it is expected that these mangoes will be sold at smaller independent stores. The next shipment of Kesar mangoes are due to arrive into Perth this week. The variety of mango that everyone seems to be waiting for, however, is the Alphonso, which is actually dubbed as the King of the Mango. This type of mango has a high profile in India, known for having a great taste. Speaking to ABC Rural last month, Robert Gray from the Australian Mango Industry Association, said if the Indian mangoes met biosecurity standards they had no problems with the trade. “Our position is that, as part of the global trade, if we want access to other countries around the world [to export Australian mangoes], then providing the protocol is safe and not bringing in any pests or diseases, then we’re supportive of other countries having access into our market,” he said. It is unsure how many tonnes of mangoes will arrive in Australia during our growing off-season with the trade being judged wholly by the consumer. So if you like them, buy them!